One more day to go before you can get a hands-on view of the the new iPhone 3GS. I cannot wait. Launch and switch between applications quickly. Access web-pages in a fraction of the time. Shoot, edit, and share video right on your phone. Copy and paste words and photos, even between applications. Find out what direction you’re facing with a new digital compass. New Apple iPhone 3GS changes speed! Apple announces the release of the new 3GS iPhone at it annual conference…but what is this new iPhone all about? …the ability to launch applications, view attachments, and load games 2 to 3 times faster…and a data speed that will see the new device will support AT&T’s upcoming 7.2 Mbps HSPDA network. …also, it sports a new 3.0 megapixel camera with auto focus which will record videos that can be edited right on the device and sent by email or directly uploaded to YouTube. …battery longevity is also improved. Users will see 9 hours of Wi-Fi Internet time, 10 hours of video, 30 hours of audio, and 5 hours of 3G talk time. 16-Gb and 32-Gb version will be available in black and white and will go for $199 and $299. respectively. In terms of looks, there are not changes. The phones will look just like the 3G model. Even with AT&T maintaing it “stronghold” on selling rights, I got to admit it’s really tempting. To get one, you will have to pre-order and pick it up at a local store on June 19. If you want an iPhone, but is not willing to pay 3GS price, you are in luck! 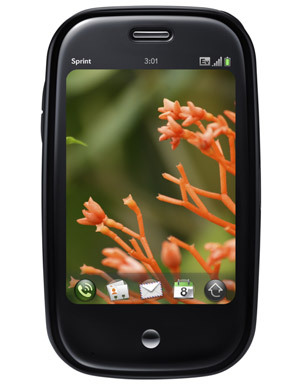 The “old” 8-gigabyte 3G model’s going for $99 effective immediately. In the meantime, AT&T is in the process of upgrading its software to its towers so that it can support this higher speed data.